There's just SO much to see and photograph in Dublin! As you have read here before (and will surely read here again), I love Dublin. The Irish people are so kind, and the city itself is quite beautiful to my eyes. I seriously enjoy each of my visits there. 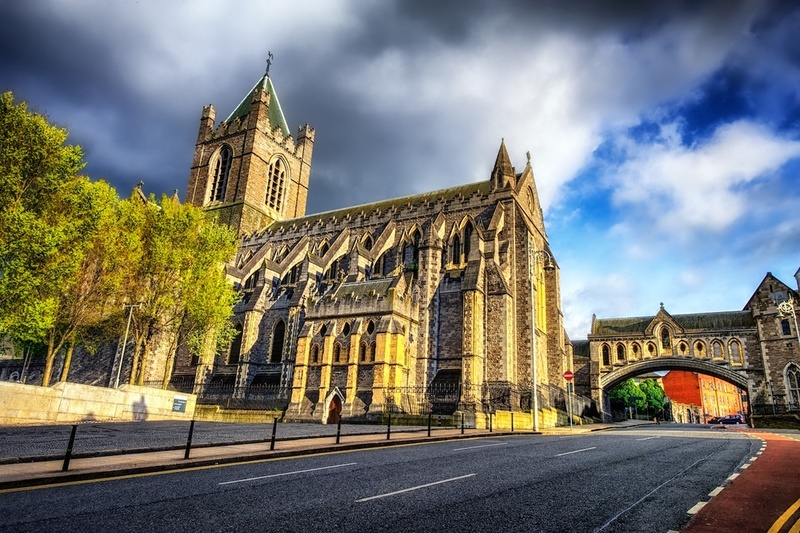 Christ church cathedral, which is pretty awesome if you ask me! The only problem I have is that at some point I have to leave, before I have seen everything I want to see. And truthfully, it's not that large of a place, but I already have 10 or more spots on my list that I want to see next time, which I am hoping is sometime this Spring. Fingers crossed! behind dublin castle you will find this place, the chester beatty library. I've never been inside, but sure like the outside! kilmainham gaol, which is a historic jail-turned-museum, just a short cab ride from the historic district - and well worth the trip! So far, I have been there 4 or 5 times (need to check my photo library to confirm that, since I set up a different project for each trip, and name it after the destination and the date - makes it easy for me), and each time I end up taking a LOT of photos. Many times I revisit the same places, so thus far the amount of photos I have of the Temple Bar, for example, has to number in the hundreds at a minimum. But that's ok, because the place is photogenic. I will shoot it again on my next visit. That's a guarantee. down along the river liffey at some ungodly early hour when most of the town is asleep - peaceful. But today the only thing these pics all have in common is that they are from Dublin. Well, that's not entirely true. Several of these are of the Ha'Penny Bridge, which I took one morning when I got up early to wander and shoot. It's something I love to do, and always get rewarded for it, even if I tire out a bit earlier that evening. So take this little tour with me, and if you can, hoist a Guinness while you do! Slainte! the entry to the jameson distillery - i'm not a whisky drinker, but this was a great tour! the mayor of dublin lives here - not sure if that's his car or not! this section of the temple bar district has some great graffiti, so of course i had to stop by and shoot it!